Are you a Salsa Addict? Are you looking for the coolest parties and places to attend? 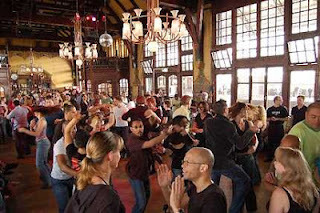 Then the Salsa Party in Haarlem Station NS is the place for you and a unique experience not to be missed! Being a salsa dancer myself, I attended this party last Saturday, the 8th of December and was amazed. 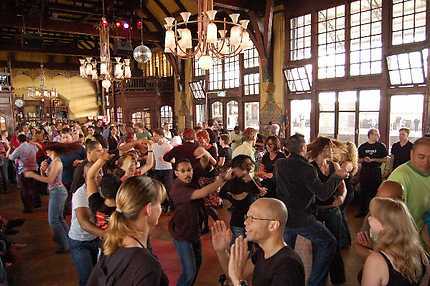 The party takes place in a very picturesque café in Haarlem Station, with a mesmerizing atmosphere that can captivate even the most demanding dancers. It’s a unique experience and a chance to dance both Salsa and Zouk, enjoy yourself and have a drink in one of the most beautiful places for Salsa, with high-level dancers ready to take you for a spin. The party in Perron Haarlem hosted 3 amazing shows, by Estilo Dance Company, Fuerza, Hicham and a workshop by Andre & Tonka (Salsa Beginners) while the the amazing DJ Andres El Jefe was on Decks. The music was an interesting surprise with many underground, mainstream and alternative salsa sounds. In addition to the unique atmosphere, I should mention the low price of the entrance (€5,-) and the fact that the party starts and finishes early (9pm-1am) so that dancers can use the train to go back home...or continue enjoying their Saturday night out! All in all, it is was one of the best parties I attended in Holland, and I already became a phanatic. More information about the upcoming events can be found at www.salsamotion.nl and on facebook!! Until next time…See you all on the dancefloor!